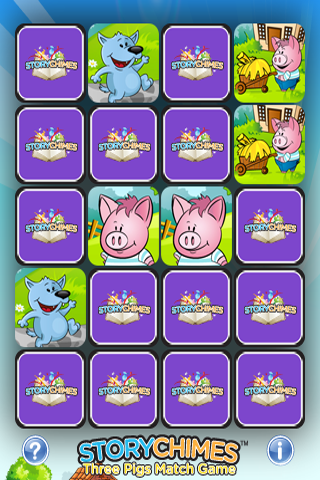 Three Little Pigs StoryChimes Match Game is a fun memory matching game featuring StoryChimes characters from our Three Little Pigs StoryChimes! 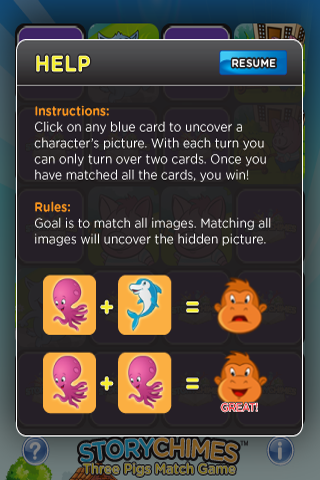 Cute characters and great graphics! • Never the same twice! Mom or Dad need a good distraction? No matter how you travel or where you are, StoryChimes are never more than a touch away. An entire collection of books in the palm of your hand, providing a great assortment of entertainment. StoryChimes are the perfect alternative to movies, tv shows and video games. 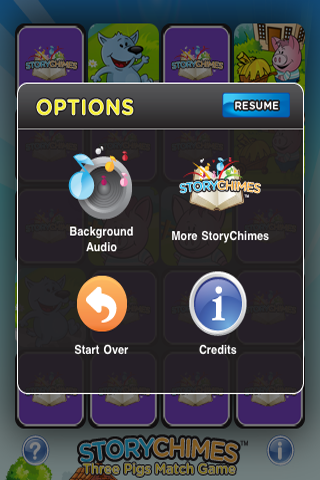 With StoryChimes you can entertain and educate at the same time. Available in the App Store. Grab one today! Please visit us on the web at www.storychimes.com for more great stories!